There is no ‘X’ in espresso. If that were the only rule to learn, the selection of a home espresso machine would be easy. There is so much more to it than that, and we are here to help. We test and review a wide array of espresso machines so that we can offer unbiased advice. 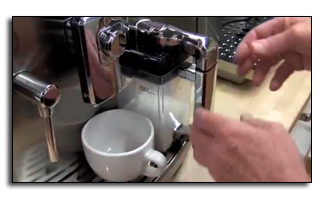 In this video series of Crew Reviews, we run through tons of different espresso machine models -- from portable espresso makers for on-the-road java to one-touch cappuccino machines -- so you know how they compare, perform and function. Join Kat, Gail and the SCG Crew for real fun reviews by real people.